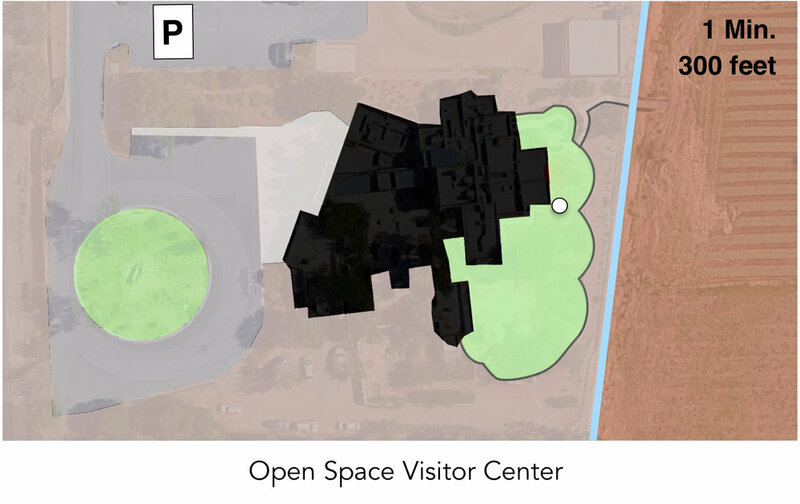 structures [ albuquerque ] is a radical site-specific sound installation at eight locations on Open Space Land in Albuquerque, New Mexico, USA. German artist Robert Stokowy has created this installation, which will be opened in April 2019 and on display for at least 12 months. This public artwork is the result of a research period in the natural environments of Albuquerque. While being considered a sound installation the exhibition does not emit a single sound. Instead the artwork is created through the creativity of each visitor. The visitor becomes the performer & only spectator for the imaginary sonic, visual or sensory sculpture that they created with/from & through the environment. The artist has placed exhibition signs along the trails at each chosen location. These signs were individually designed for each surrounding. Along with a short instruction for the performer, the artist uses poems to spark the reader’s creative process. The poems were created at the location after engaging with the environment by listening & looking. All eight poems are directly connected to the quality & character of these natural environments - the sounds, visual elements, scents, wind & weather influences. At each of the eight locations a sign is placed on a pole along the trails for purposeful visitors & hikers to read. The positions were chosen based upon the sonic & visual environment. Instead of placing a physical artwork in these natural environments, the work uses its surroundings. Sounds rise up to the sky & form abstract objects, the ground comes to life and reveals its true nature and silence emerges as a force that is able to set all plants into motion. structures [ albuquerque ] is a conceptual artwork that brings Sound Art, Poetry, Creativity & Environmental Awareness together. Each visitor has the chance to explore Albuquerque’s fantastic nature, while also exploring her/his creativity. Each sign comes with an individual poem, the instructions, information about the project & a QR-code to this website (with GPS links to all locations, additional information & a downloadable brochure). Brochures with an introduction & instructions to the project will be available at the OPEN SPACE VISITOR CENTER, Tourist Centers & Bookstores. The brochures also feature maps for all locations, driving & hiking instructions as well as individual QR-codes which take you to the GoogleMaps-Coordinates on the trail. Since the projects requires visitors to hike on trails, this project is not completely accessible for people with disabilities & those who are walking impaired. For this reason, there will is a book version with includes locations around Downtown Albuquerque, Nob Hill et cetera. Chosen sites will be easily accessible by car and/or wheelchair & require minimal walking distances. This variation of structures [ albuquerque ] is in no way inferior to its nature-focused sibling. Albuquerque’s urban environment, architecture or panoramas are spectacular and offer sensory environments that will be very exciting to experience through the creation of art. The book will be available on demand & at chosen bookstores for nominal charge.